Complete home interiors by Magnon! 1000+ Projects executed, 99% Happy Customer, Award winning Designers, Own Factory, Biggest Factory Display showroom, ISO Certified, Best Customer support. Makes Magnon a preferred Interior Design Company in Bangalore. 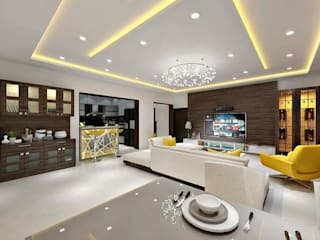 Living Concept, Modular Kitchen, Home Interior, Wardrobes, Bedroom, Dining Room, Office Furniture. End to End Interior Works. Residential Lifestyle Interior Company in Bangalore.